Attached is an article from the April 4th edition of the Bexhill Observer. Christian Voices‘ play “Let His Light Shine” gets to the core of Christian beliefs and provides ample food for thought. 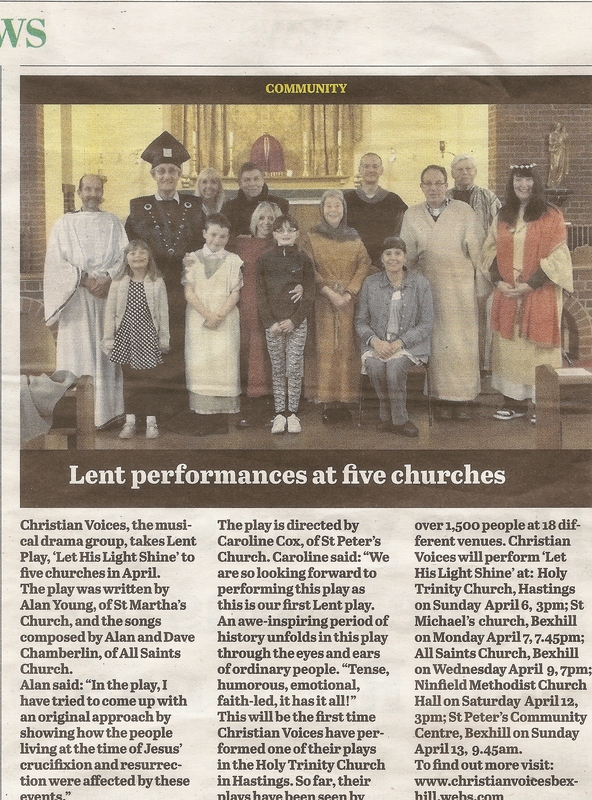 Posted by christianvoicesbexhill on 12/04/2014 in News, Performances, Press and tagged News, Performances, Press.